How Israel’s supreme court has effected its own constitutional revolution—and thereby undermined public confidence in the rule of law. 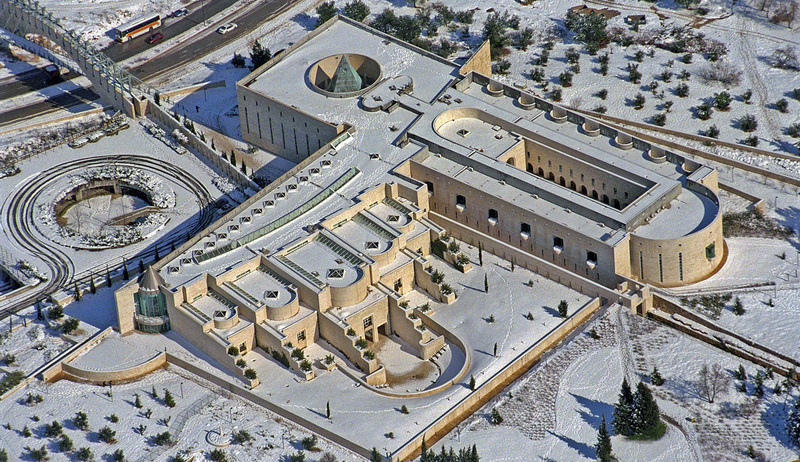 Israel’s supreme-court building in Jerusalem covered with snow. Wikimedia/Moshe Milner. Evelyn Gordon is a commentator and former legal-affairs reporter who immigrated to Israel in 1987. In addition to Mosaic, she has published in the Jerusalem Post, Azure, Commentary, and elsewhere. She blogs at Evelyn Gordon. In 2015, following lengthy negotiations, President Barack Obama concluded an executive agreement marking the accomplishment of a cherished policy goal: the nuclear deal with Iran known as the JCPOA. Also in 2015, after similarly lengthy negotiations, Prime Minister Benjamin Netanyahu concluded an agreement realizing a long-cherished policy goal of his own: a deal enabling development of Israel’s largest natural-gas field by a private American company and its Israeli partner. Both agreements included a commitment by the respective governments to refrain from adverse legislative action over the next ten to fifteen years: in Obama’s case, action to reinstate nuclear sanctions against Iran; in Netanyahu’s case, action to alter the regulatory regime for natural gas to the disadvantage of the private energy companies. As it happens, neither country’s executive branch has the authority to bind the legislature without the latter’s consent. But this didn’t trouble either the Iranians or the energy companies; they took it for granted that both executives would use all of the considerable power at their disposal to prevent such legislation, and that sufficed. But what about the role of the third branch of democratic government, namely, the judiciary? That is where the two stories diverge. The Iran deal was never challenged in an American court. But in Israel, two left-wing opposition parties (Zionist Union and Meretz) and two nongovernmental organizations, alarmed by the encroaching specter of capitalist development, immediately petitioned the country’s supreme court (also known for some purposes as the High Court of Justice) over the gas deal—and won. The court struck down the agreement, saying the government either had to procure legislation enacting the prime minister’s commitment to regulatory stability or renegotiate the deal to exclude the commitment altogether. This was hardly the first time in recent years that domestic critics of Israel’s government have accused it of “anti-democratic” behavior that wasn’t actually anti-democratic at all. But such accusations have served to obscure the real anti-democratic revolution that has occurred in Israel over the last few decades: the judiciary’s steady usurpation of policy-making powers that were once reserved—as they still are in other democracies—for Israel’s executive and legislative branches. To appreciate the scope of this revolution, it helps to read Daniel Friedmann’s The Purse and the Sword. (The title, referring to the two powers emphatically denied to the judiciary in a democracy, is borrowed from Alexander Hamilton.) Originally published in Hebrew in 2013, the book has now been brought out by Oxford in an updated English translation. 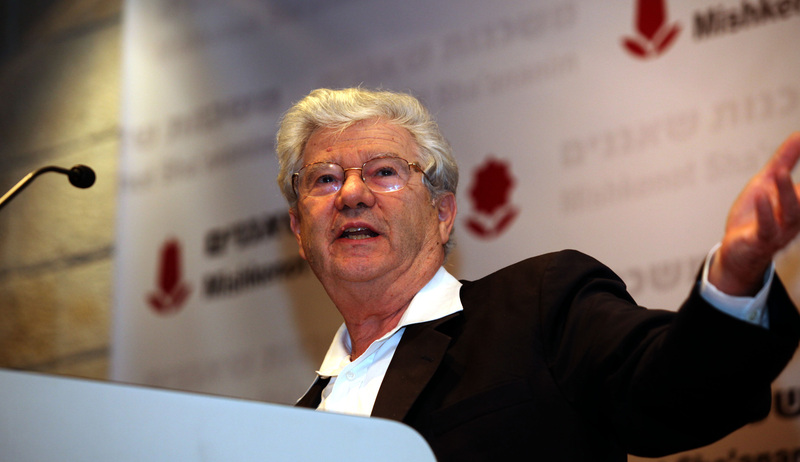 Friedmann, an Israel Prize laureate, may be uniquely qualified to address this topic. In addition to being one of the country’s top legal scholars, he has practical experience of the problems he describes, having served from 2007 to 2009 as justice minister in the government of Ehud Olmert. Moreover, contrary to the conventional wisdom that opponents of the supreme court’s overreaching tend to be right-wing religious activists, Friedmann is a secular leftist whose loathing for settlers, the ultra-Orthodox, and the center-right Likud party is made crystal-clear within the first few pages. Unfortunately, for readers not already well-versed in Israeli law and politics, the book is not an ideal introduction to its topic. It assumes a fair amount of prior knowledge, and suffers from other flaws as well. Yet given the importance of the issues, and the wealth of relevant material that Friedmann brings to bear, it is eminently worth our while to follow him along. Friedmann begins with a brief tour of Israel’s legal history in the days before the judicial revolution, when no one—including, as he demonstrates, supreme-court justices themselves—questioned the primacy of the elected branches of government. But in the 1980s, under Meir Shamgar and his then-deputy, Aharon Barak, who would succeed Shamgar as chief justice in 1995, the court introduced three innovations that dramatically altered the legal landscape. First, it abolished the restriction of standing: that is, the rule that only someone directly harmed by a government action could petition the court for redress. Thereafter, anyone could petition the court over any government decision. Second, it abolished the restriction of justiciability, which deemed certain domains—including foreign affairs (“the sword”) and budget policy (“the purse”)—to be the prerogative of the elected branches and therefore beyond the court’s purview. Thereafter, virtually every government decision became subject to judicial review. Third, it began evaluating not just the legality but also the “reasonability” of government decisions, and asserted the right to overturn those it held “extremely unreasonable.” Since deciding the reasonability of a given action is essentially a policy judgment of the kind that governments are elected to make, the court was now asserting veto power over government policy. And since its other two innovations insured that virtually every significant government decision would end up in court, its veto power was almost unlimited. Then, in the 1990s, the court introduced two further and no less crucial innovations. In 1993, reinventing the role of a key government position, it ruled that the opinions rendered by the state’s attorney general were no longer to be considered merely legal advice, but were binding on the government and all of its agencies; that only the attorney general was authorized to represent the administration in court; and that, should the administration disregard his “advice” on a given issue, the attorney general could refuse to defend the government’s position in court. This deprived the executive branch of fundamental legal rights accorded to every ordinary person. It could neither seek a second opinion from a different lawyer nor challenge the attorney general’s opinion in court; should it do so, it would be denied legal representation, thereby insuring its defeat. Not only that, but rules were instituted that severely circumscribed the government’s ability to choose an attorney general to its liking or fire one it disliked. Scholars are still debating the factors that enabled this judicial revolution to occur and survive. Friedmann has his own take on the matter, which I’ll come to in due course. What’s incontestable is that opposition to it developed only slowly. This owed partly to the enormous esteem accorded both Shamgar and Barak, the latter of whom was the revolution’s theoretician, and partly to their political acumen. Generally, the court began by asserting new powers to strike down government decision-making without actually doing so; only after the assertion became “accepted precedent” did the justices begin applying it. Similarly, Shamgar and Barak initially intervened mainly in government decisions already widely viewed as outrageous; only after such intervention had become accepted practice did they expand into more controversial areas. By this means, the revolution proceeded virtually unimpeded for decades, as Friedmann details in case study after case study showing how it played out in reality. In doing so, he illuminates the extent to which the court has, first, gutted the ability of any elected government actually to govern, and, second, ended up undermining rather than protecting both human rights and the rule of law. The supreme court has gutted the ability of any elected government actually to govern, and ended up undermining rather than protecting both human rights and the rule of law. The court has even gone so far as to intervene in wartime combat decisions while fighting is still in progress. Friedmann cites several cases of petitions challenging the army’s handling of humanitarian issues in Gaza, with the surreal result that the very officers tasked with resolving such issues were instead spending their time writing affidavits or explaining the situation by phone to their lawyers in Jerusalem. On the domestic side of the spectrum, consider the lowly municipal budget of Kfar Vradim in northern Israel. A few religious families in this small and mainly secular town had requested that the municipality provide them with a ritual bath, or mikveh. (Local governments in Israel are in general responsible for building and maintaining religious facilities.) The local committee on budgetary priorities, basing itself on such criteria as the number of people expected to use the facility and the cost of maintaining it, and noting that similar facilities were readily available in several nearby communities, ranked a mikveh last out of seventeen proposed public-construction projects. The families then asked the supreme court to intervene. Even though setting budgetary priorities is precisely what governments are elected to do, the justices ruled that, given the mikveh’s importance in Orthodox Judaism, the town’s decision was unreasonable and the mikveh must be made a top priority. Overturning government decisions on the basis of its own radically expansive interpretation of human rights is not the only tool through which the court has usurped political power. Another, to which Friedmann devotes considerable attention, is control over government appointments. It’s a truism that in government, people are policy; to accomplish anything, a mayor or a minister needs to fill key positions with people who share his vision. But the attorney general and the court have repeatedly intervened to disallow nominees, no matter how qualified. They have also issued a blanket ban on party colleagues or friends—the very people most likely to share an elected official’s views—unless a nominee can be shown to possess some unique qualification lacking in “apolitical” candidates. Further exacerbating matters, search committees for government posts in Israel aren’t restricted to considering the government’s nominees, but are free to consider any applicant and even to propose their own candidates. If overturning government decisions on the basis of its own radically expansive criteria is one tool through which the court has usurped political power, another is control over government appointments. Thus, in 2011, Benjamin Netanyahu’s then-finance minister, Yuval Steinitz, wanted a particular person to head the tax authority. Steinitz, writes Friedmann, “clearly acted in good faith and genuinely believed that his candidate was the best man for the job.” But a search committee preferred a different person, and the supreme court, deeming the panel’s recommendation “almost decisive,” ordered the cabinet to consider him; bowing to the inevitable, the cabinet appointed the committee’s favorite. In another case, Eli Zohar—a leading criminal-defense attorney—was forced in 2003 to withdraw his candidacy for the post of attorney general simply because he was a friend of the justice minister. Rejecting the minister’s second choice as well, the committee ultimately recommended only candidates whom the government hadn’t nominated. Compounding this problem, Friedmann writes, is that prosecutors and courts have repeatedly viewed disregarding the advice of professional civil servants as grounds for suspecting a minister of criminal malfeasance, whereas ministers who accept such advice can cite this as a legal defense. The upshot is that not only are ministers barred from appointing the people they want, but for fear of being charged with criminal wrongdoing, they are virtually forced to obey the decisions of appointees they don’t want. This raises an all but insurmountable barrier to substantive policy change. Still another tool at the court’s disposal for controlling government activity is its power to “interpret” legislation. True, any court does this, but Israel’s supreme court takes it to extremes, simply interpreting out of existence any law it happens not to like. Conversely, if it wants a law that the Knesset hasn’t been accommodating enough to pass, or that legislators have explicitly decided to omit, it “discovers” the law in existing legislation. Nevertheless, the court overturned the disqualification, declaring that the evidence wasn’t sufficiently “persuasive, clear, and unambiguous.” Effectively, Friedmann writes, it set such a high evidentiary standard that disqualifying any Arab party became all but impossible. This ruling also spurred the Knesset to pass several new versions of the disqualification law, in each case sparking accusations from Israel’s left of racist and undemocratic conduct. Yet all those subsequent bills were merely attempts to get the court to finally enforce the original law’s reasonable intent: that people who want to abolish the Jewish state or support armed struggle against it shouldn’t sit in its parliament. The flip side of gutting legislation the Knesset actually passed is creating legislation it didn’t pass. The catchall vehicle for this purpose has been the Basic Law: Human Dignity and Liberty. 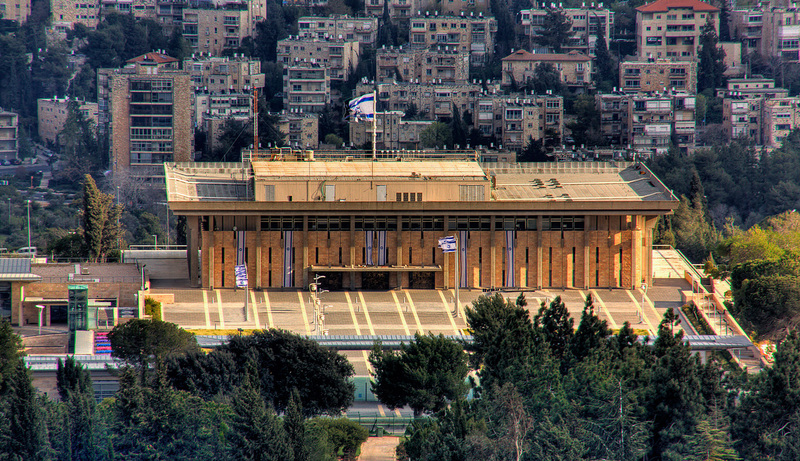 As Friedmann observes, the court has “discovered” several rights in this law that the Knesset intentionally excluded under the political compromises that enabled its passage. The court has “discovered” several rights in an Israeli Basic Law that the Knesset intentionally excluded under the political compromises that enabled its passage. One example, which Friedmann mentions but doesn’t elaborate on, is the “right to family life.” This may surprise anyone familiar with Israel’s fairly restrictive marriage laws; since marriage and divorce are controlled by each faith’s religious courts, there’s no legal way to conduct a marriage—say, an interfaith marriage—that violates religious law. And indeed, when legislating the Basic Law, the Knesset deliberately made several changes to the original bill in order to ensure the preservation of that system, thereby making it clear that the law was not intended to confer a right to family life with the partner of one’s choice; had legislators imagined it did, the law wouldn’t have passed. I determined that the right to family life is a constitutional right of the Israeli spouse and his children. . . . Since we do not have specific articles in our Bill of Rights that deal with equality and the right to family life, I decided that these rights are part of the right to human dignity. It’s by means of such judicial tactics, Friedmann sums up, that the supreme court has created “a split between authority and accountability.” While arrogating to itself the power to mandate executive-branch action or strike it down, to abolish Knesset legislation or create laws the Knesset never enacted, it remains unaccountable to the public for its own actions. Meanwhile, the executive and the legislature, both of which must answer to voters for their actions, increasingly lack the power to decide anything for themselves; without the court’s permission, they can neither act nor refrain from acting. All of this is further exacerbated by Israel’s uniquely undemocratic system of appointments—not only, as we have seen, in the executive branch, but also to the court itself. 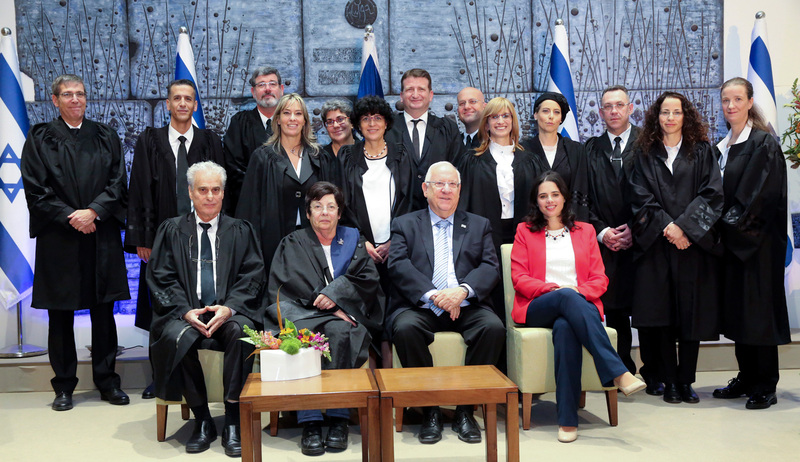 In most democracies, supreme-court justices are chosen by the elected branches of government; in Israel, they are chosen by a nine-member committee on which sitting justices themselves occupy three seats. Two more are held by representatives of the Israeli bar association—who must argue cases before those same justices—while four “political” seats, which change hands with every new government, are set aside for three coalition members and one opposition MK. In most democracies, supreme-court justices are chosen by the elected branches of government; in Israel, they are chosen in part by the sitting justices themselves. This arrangement gives the justices enormous influence over the choice of their own successors, which they have employed to stack the court with people who share their activist worldview. Among other egregious abuses, Friedmann cites their veto of the proposed appointment of Ruth Gavison, a preeminent legal scholar and veteran human-rights activist, solely on account of her outspoken criticisms of judicial interventionism. Numerous bills have been submitted to curb this interventionism by changing the system for appointments to the court—for instance, by allowing the Knesset Constitution Committee to vet nominees. That none has ever passed is largely because opponents, usually but not exclusively from the political left, have tarred these bills, too, as anti-democratic attempts to politicize the court or destroy its independence. Aharon Barak, the former chief justice, famously decreed that such legislation would turn Israel into a “third-world country.” Yet the appointment of justices by elected officials hasn’t impaired judicial independence in other democracies, nor has anyone ever questioned the independence of Israel’s first justices, who, as Friedmann points out, were appointed by the cabinet and approved by the Knesset. On the contrary, enabling the appointment of justices who pay greater deference to the separation of powers would enhance democracy by restoring policy-making power to the elected government, where it belongs. Far from seeking to undermine democracy, the Knesset is merely seeking some way to get the court to respect a fundamental democratic right: the right to have policy set by elected officials rather than unelected justices. The executive and legislative branches of government are far from the only victims of judicial activism. In some of the strongest parts of his book, Friedmann shows how this activism, ostensibly intended to protect individual rights and the rule of law, often ends up subverting both. One major casualty of this approach has been the rights of criminal suspects and defendants. Friedmann illustrates this point with a notorious 1984 case in which an army officer was suspected of killing two captured terrorists. The attorney general wanted the officer court-martialed and suspended from active duty, but the military advocate general (MAG), deeming the evidence fishy, refused. Eighteen months later, three senior Shin Bet security officers proved the MAG right when they admitted that their agency had framed the officer. Had the rule granting binding authority to the attorney general’s decisions been in force back then, an innocent man’s career would have been destroyed. The supreme court has repeatedly ordered attorneys general to file indictments that they themselves have regarded as unwarranted, thereby subverting defendants’ right to a fair trial. Moreover, the supreme court has repeatedly ordered attorneys general to file indictments that they themselves have regarded as unwarranted, thereby subverting the defendants’ right to a fair trial since it is difficult, in Friedmann’s words, “for a lower court to acquit (or even impose a light sentence) after the highest court has ordered an indictment.” Similarly, the justices have “discarded the traditional rule that, in case of doubt, the law should be interpreted in favor of the defendant.” The result has been a stunning rise in conviction rates, from 77.8 percent in 1961 to 92.3 percent in 1981 to an incredible 99.9 percent in 2005. If this raises serious questions about due process, no less serious is that justice is routinely delayed in both civil and criminal cases. Thanks to the court’s preoccupation with policy issues that aren’t its business, it has little time for its core job of hearing civil and criminal appeals. Consequently, even after it does finally hear a case, litigants often wait “four or five years, and sometimes longer,” for a ruling. Another case from the mid-1980s is instructive in this regard. In 1984, Meir Kahane’s Kach party (subsequently disqualified from the Knesset, as we’ve seen) won a single seat and promptly submitted bills to deny citizenship to non-Jews, to mandate separate beaches for Jews and Arabs, and to bar Jews from marrying or engaging in sexual relations with non-Jews. Under Knesset bylaws at that time, legislative proposals couldn’t be brought to a vote without the authorization of the Knesset speaker; deeming the bills racist and anti-democratic, Speaker Shlomo Hillel refused to let them through. Kahane then petitioned the court, which ordered Hillel to allow the votes. Later he also petitioned the court over the refusal of the public broadcasting authority to air stories about his bills and speeches, and won again. As Friedmann notes, it’s virtually unprecedented for a court in a democracy to dictate the legislature’s internal work procedures, much less force it to vote on bills it deems unworthy of consideration; this grossly violates the separation of powers. It’s also unprecedented for a court to order journalists to cover news they deem unworthy of coverage; this grossly violates freedom of the press. But while Friedmann doesn’t say so explicitly, the implications for Jewish-Arab relations were also significant. Although the Knesset swiftly amended its bylaws to bar explicitly racist bills, the supreme court had just effectively decreed that racist legislation and speech, once ostracized by the Knesset and Israeli media alike, deserved and even required consideration. 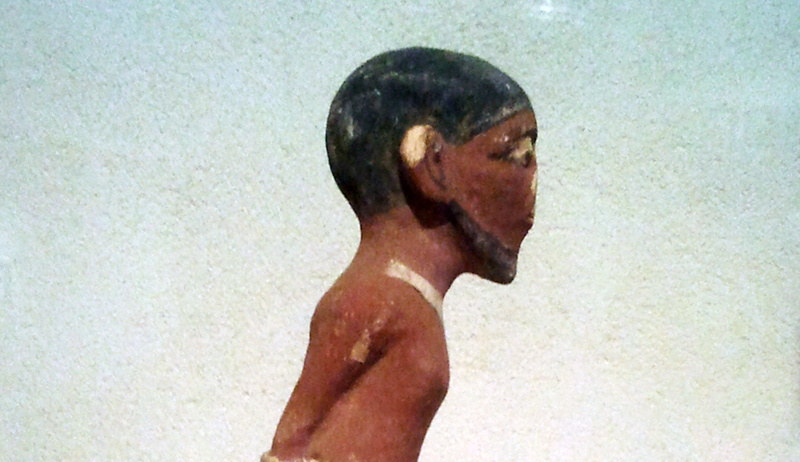 It thereby eroded institutional and social barriers against manifestations of racism. Three decades later, bills or statements by the radical fringe, however minuscule their chances of enactment, routinely garner outsized attention from journalists and legislators rather than being quietly sidelined as they might have been in the past. The result is that although anti-Arab prejudice in Israeli society has actually been declining, expressions of prejudice enjoy more public exposure than ever before—to the obvious detriment of Jewish-Arab relations, as well as of Israel’s public image. A final victim of the judicial revolution: public respect for the court itself and the entire legal establishment, and hence for the very “rule of law” the court claims to champion. And this brings us to a final victim of the judicial revolution: public respect for the court itself and the entire legal establishment, and hence for the very “rule of law” the court claims to champion. By 2007, Friedmann observes, confidence in the supreme court among the Jewish public had plummeted to 56 percent, from 85 percent in 1996, while confidence in the court system as a whole had plunged to 36 percent. By turning itself into just another political player, and “the rule of law” into a mere euphemism for its own policy preferences, the court has inevitably led the public to view it accordingly. As I remarked early on, Friedmann’s book isn’t without its weaknesses. Some of these are major. Aside from the frequent lack of critical background information, his account lacks any treatment of a principal source of friction between the court and elected officials: namely, the long list of court rulings that legislators rightly view as eviscerating the Jewish component of Israel’s self-definition as a Jewish and democratic state. In ruling after ruling, the court accomplished this feat by adhering to Aharon Barak’s dictum that it should interpret “Jewish” at a “level of abstraction . . . so high that it becomes identical to the democratic nature of the state.” Without being aware of these rulings, it’s impossible for an outsider to grasp that many controversial recent bills, like those seeking to define Israel as the nation-state of the Jewish people, aren’t aimed at giving the country’s Jewish character more weight than its democratic character—as critics recklessly charge—but are merely trying to restore a parity enshrined in law yet systematically ignored by the court. Many controversial recent bills aren’t aimed at giving Israel’s Jewish character more weight than its democratic character, but are merely trying to restore a parity enshrined in law yet systematically ignored by the court. It’s important to stress here that viewing Israel’s dual character as an inevitable source of conflict between Judaism and democracy is a misapprehension. In most cases, a conflict would exist only if democracy were regarded not as a system of government—that is, a procedural mechanism for decision-making—but as synonymous with the all-encompassing set of social and moral values known today as liberalism. Unfortunately, that happens to be exactly how Israel’s supreme court, along with most of the Israeli left, does view democracy. By definition, therefore, the court sets its own sweeping universalism at odds with particular and often perfectly defensible Jewish concerns. Perhaps no issue in recent years has highlighted this conflict more than the court’s decision, no fewer than three times, to overturn legislation aimed at stemming illegal migration, before finally upholding a fourth version whose terms were essentially dictated to the government by the court. All four versions of the legislation restricted migrants’ freedom in some fashion while their asylum applications were being processed, or in cases where applications were rejected but migrants couldn’t be deported (if, for instance, their country lacked diplomatic relations with Israel); the argument was over the nature and duration of those restrictions. As the only Western country that shares a land border with Africa, Israel is uniquely vulnerable to an influx of illegal migrants; the first version of the law was passed in 2012 after years of sharp annual increases in the number of such migrants. Having reason to believe that most were labor migrants rather than bona-fide refugees, the government sought to discourage further waves by making it clear that, for a non-trivial period of time, illegal migrants would be unable to earn a wage. Illegal migration in fact dropped sharply after 2012, though whether that was due to the law, to a new border fence, or to both is disputed. But aside from the general problem that mass migration poses to every Western country, Israel faces a unique problem related to its Jewish identity. Clearly, unless Israel preserves a substantial Jewish majority, it cannot remain a democratic Jewish state. Already its non-Jewish, primarily Muslim, minority totals 25 percent of the population (excluding the territories), and many of the migrants, especially those who can’t be deported, are also Muslim. Thus a massive influx could affect the country’s delicate demographic balance; to the cabinet and to the Knesset, this was additional justification for stringent policies to discourage migration. In my view, the court was justified in concluding that the initial legislation, which allowed migrants to be jailed for up to three years, violated the Basic Law: Human Dignity and Liberty. But by the third version, the law stipulated only twenty months at an open detention facility that migrants could leave during the day, but whose isolated locale would make it difficult to find work. Several other Western countries have instituted significantly more draconian policies to discourage migrants. Yet the court subordinated both the general Western concern and the particular Jewish concern to its own expansive conception of the migrants’ universal human rights. Another area where Friedmann’s book falls short is in his recounting of the process by which the judiciary was able to amass such power. He points, reasonably, to the widespread distrust in government generated by the near-disaster of the 1973 Yom Kippur War, a distrust exploited by the strategists of the judicial revolution. He also rightly highlights both the weakness of coalition governments, in which a single partner can veto proposed reforms, and the legal establishment’s successful intimidation of reform-minded politicians; his case studies of politicians barred from or forced out of key ministries by utterly baseless criminal proceedings are downright frightening, especially since many of the targeted politicians were outspoken critics of the court. During his own term as justice minister, he writes, “many of my colleagues were terrified of voicing any disagreement” with the attorney general lest he launch criminal proceedings against them. But Friedmann barely touches on what may be the most critical factor of all in this saga of judicial usurpation: the existence of a sizable minority of Israelis who wield great influence in the media, academia, and other opinion-shaping institutions and who see judicial activism as an essential tool for molding Israel toward ends they can’t achieve through democratic means. The perseverance of the court’s overreaching activism despite decades of legislative opposition is incomprehensible without recognizing that it enjoys a powerful support base. To understand this point, Menachem Mautner’s 2011 book, Law and the Culture of Israel, is indispensable. (I reviewed it here.) A professor of law at Tel Aviv University, Mautner argues persuasively that the left, which controlled Israel for the state’s first three decades, was terrified by its loss of power to the center-right Likud party in 1977. He quotes leading cultural icons of the time predicting, among other evils, civil war, the abolition of democracy, and the spectacle of state organs hunting down dissenters and/or secular Jews. In despair at its loss of hegemony, the left turned to the judiciary, the one branch of government still in its grasp, as a means of retaining control over the country’s political culture. And the judiciary, whose roots were in this same leftist elite, willingly complied. Aside from these substantive issues, Friedmann’s book also suffers from various other defects, among them an often confusing and digressive narrative and a lack of well-developed characters or intriguing anecdotes that might ease the slog through legal intricacies. At the same time, however, The Purse and the Sword offers vital insight into a powerful institution that has been disfiguring Israeli politics and society for the last three decades and is still at it today. If you want to understand one of the most egregious and deeply embedded threats to Israel as a Jewish and democratic state, Friedmann’s book is a good place to start.